Coleman Hot Water On Demand Review: A Good Water Heating Solution? 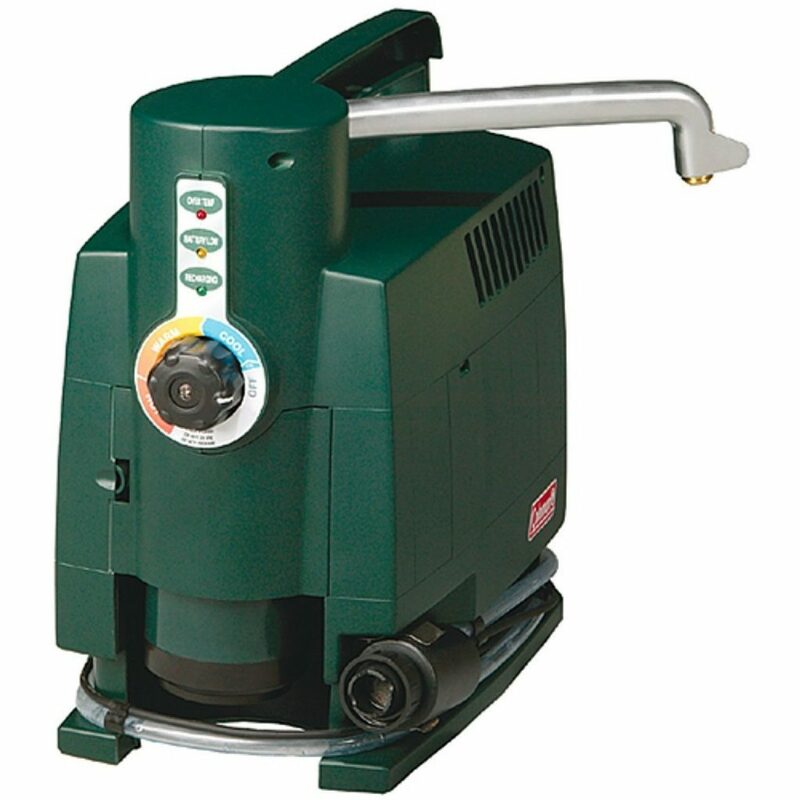 The Coleman portable water heater is a device that is perfectly suitable for multiple occasions in which you might find the need for hot water. Prime examples include picnics or camping trips. These are usually situations during which you wouldn’t be able to get connected to some sort of electricity source in order to get supplies of water heated up properly. This Coleman hot water on demand review is specifically designated to familiarize you with the main features, as well as with some of the pros and cons of the product. 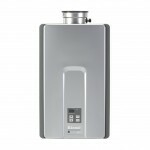 The Coleman water heater reviews are there to make your life easier when it comes to picking up the proper device that would completely solve your hot water issues, regardless of where you are at. The Coleman portable water heater would give you access to hot water if you are camping and this would be easier than ever. You would only have to fill the five-gallon container with water beforehand, connect it to the pump and turn on the heater. Hot water in this unit dispenses from the faucet in no more than five seconds and the temperature is adjustable to up to 160 degrees Fahrenheit. The water flow is about 1 gallon per minute, provided you have set up the settings to warm and cool. It is about 1/2 gallons per minute if it is on the hot settings. You could adapt the water heater to a bulk propane tank for even better results. The unit has a 6-vold battery that pumps the water. The battery itself is rechargeable and this could be done in the car or in a standard household outlet. The size of the water heater is 21 x 13 x 21 inches and it weighs approximately 26.3 pounds. The unit also comes with a 3-year limited warranty. It is specifically designated for outdoor use. Each 16.4-oz cylinder could heat up to 40 gallons of water with over 30,000 BTUs of energy. In order to visually picture the capacity – this is the approximate equivalent of a small residential water heater. The most common applications of this particular model would be for washing hands, cleaning the dishes, brewing hot drinks while you are camping. However, this device is also very helpful during emergency situations in which there is no electricity source and you have a demand for hot water. 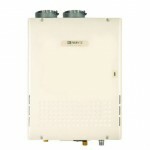 A quick shower out in the open is also an actual possibility provided by this unit. The Coleman Portable Water heater is undeniably a fascinating device. However, as all pieces of equipment it has its strong and weak sides, so here is a list of the advantages and disadvantages of the product. 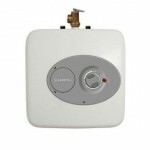 The quantity of hot water has to be stored in the unit prior to the occasion for which you are going to be using it for. Even though it may be helpful in cases of emergencies, you would still have to be able to predict the time when you would have to fill it up. Regardless of the minor lapses this device is very useful and could come in quite handy in a lot of situations. This is the main reason why you should opt to possess such a solution. Even if you won’t be able to use it full-time it is comforting to know that you have solved the hot water problems in times when you want to go camping out in the open and you do not have any other source of hot water, besides starting a fire and boiling it yourself. If we had to make a brief summary of the Coleman Portable Water heater, we would definitely have to point out and stress on the fact that this is the perfect solution to your hot water supply problems if you are at some remote place. This propane-powered heater would ignite with the push of one button and the battery-powered pump could easily be charged through a standard outlet or through a vehicle dash. The system is absolutely easy to use as all you have to do is fill up the container, push the heating button and enjoy a hot cup of tea afterward. Nevertheless, you must also take into account that this is a limited source of hot water and you would have to make some sort of distribution system as you would have several applications that would demand the use of warm water. Prime examples include washing your hands, making hot beverages or even taking a quick shower. As the system is working with propane, this product could only be used outside. This particular Coleman hot water on demand review is specifically designated to make you more familiar with the product and to give you an overall idea of the purpose of the device. 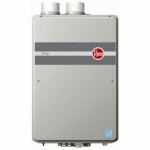 However, you could always read up on other Coleman water heater reviews if you feel like your exact needs could not be met by this product and you would want to purchase another one. In any case, make sure to properly inform yourself on the subject matter before making any kind of decision. 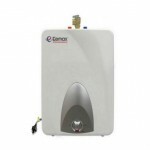 Portable water heaters are truly a great thing to possess, especially if you are the traveling type.